Bina Roy lives in rural Bangladesh. She is a wife, mother, a farmer and a fisher. Bina is also secretary to the committee that oversees fishing practices in her village. In 2002, she and her neighbors began implementing several new aquaculture practices to boost farmed fish production. 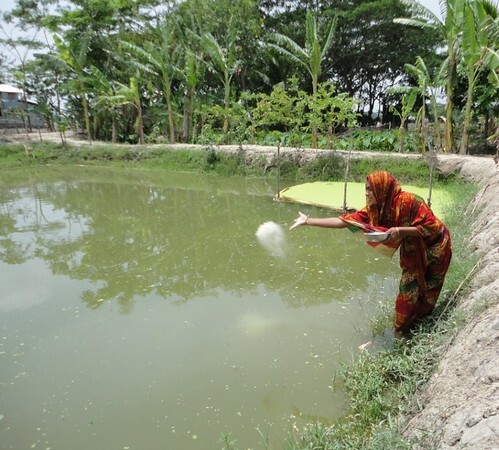 The result: fish production increased by 20% and the improved practices have spread to 1,200 villages across Bangladesh's lowland floodplains, and are now yielding more than 1,200 tons of fish each year and generating nearly US$1 million in additional income. 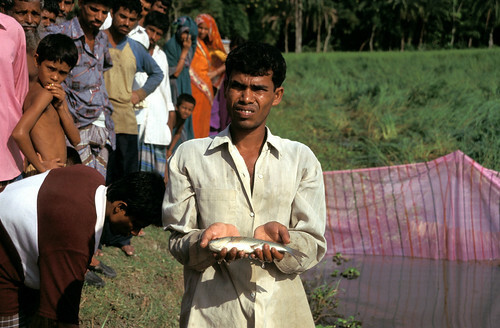 As in most parts of Asia and Africa, fish is a critical part of the diet in Bangladesh, complementing local staple foods, such as rice. It is a vital source of high-quality protein and many micronutrients essential to good health. Bangladeshis have a saying that sums it up well: “We are made of rice and fish”. Reliable and affordable access to fish gives many millions in Africa and Asia an important food security safety net that must be protected and, where possible, strengthened. The challenge of ensuring access to fish grows tougher every day. Most of the world's poor still rely on catching wild stocks of fish from coastal and inland waters near their homes, but these stocks have fallen steadily in recent decades due to overfishing, climate change, pollution and other factors. Aquaculture can play a pivotal role in meeting the rising demand for fish in Asia and Africa. "We are made of rice and fish." Already the fastest-growing method of food production, aquaculture is now providing about half of all fish consumed worldwide. 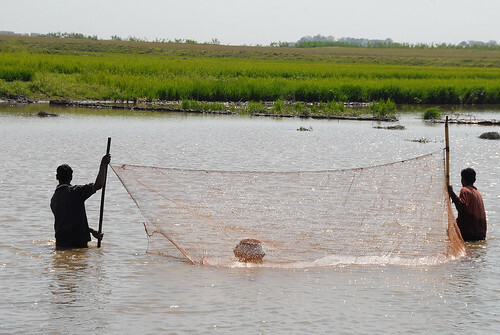 In developing countries, there is considerable potential for growth, and sustainable, ecologically sound and energy-efficient approaches to aquaculture are now readily available – approaches that are well suited to the circumstances faced by small-scale farmers. Expanding small-scale aquaculture could bring enormous benefits in sub-Saharan Africa. According to the World Food Program, 22 African countries are experiencing chronic food shortages. Fish is especially scarce, which is particularly troubling because fish is a major source of animal protein for millions of Africans. The alarming reality is that per capita fish consumption in the region is only 8.3 kg/year – about half the amount consumed by the rest of the world – and has been decreasing. Today, less than 2% of Africa's total fish supply comes from aquaculture. Projections show that if fish farming is adopted on only 1% of the 250 million hectares in Africa identified by the U.N. Food and Agriculture Organization as suitable for aquaculture, the continent could produce 3.5 million more tons of fish each year. 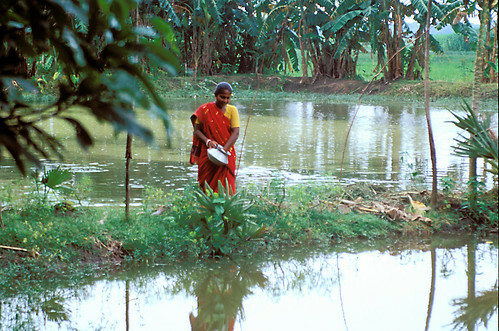 Small-scale fish farming can be environmentally sustainable. WorldFish and its partners have developed several fish species that thrive under low-input production conditions. Expensive feedstocks are not needed; farm byproducts such as kitchen waste, leaves and crop residue can be used. Moreover, water use in small-scale fish farming is quite efficient, especially when farmers learn about and apply water-management strategies that optimize the recycling of pond water to irrigate staple crops and vegetables. WorldFish research in southern Africa has revealed that, during periods of drought, small-scale farms on which fish farming has been integrated into traditional farming operations are 18% more productive than farms on which aquaculture is not practiced. The World Bank projects that by 2030 aquaculture will be meeting about two-thirds of world’s demand for fish. The opportunities afforded by fish farming to low-income countries that suffer chronic food and nutritional insecurity are immense, especially in counties where fish is already a major part of local diets. For many of these countries, integrating aquaculture into traditional farming systems is an effective and efficient way to increase food supplies, improve nutrition, and strengthen the economic security of poor families. As the world faces the huge task of feeding a growing population through more cost-effective methods, much can be learned from the experience of Bina Roy and thousands of other fishers and farmers like her in Asia and Africa. Scaling up their successes is vital if the world's poor are to have access to the fish they count on. Integrating aquaculture into small-scale farming will enable millions to improve their lives and help build a better future for generations to come.